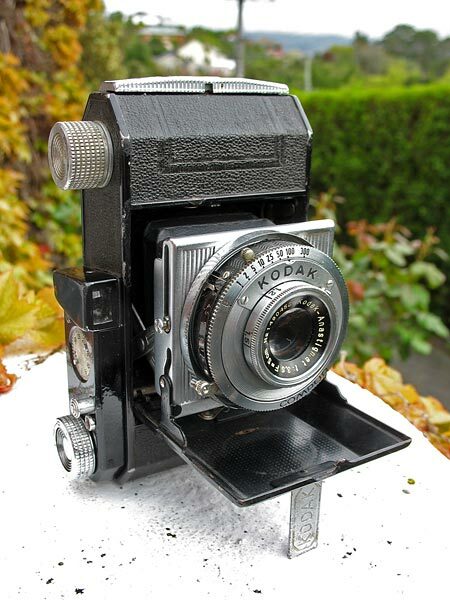 This was the second Retinette model from Kodak, and was made around 1939. The Retinette II used the same basic layout as the Retina cameras of the time, and was quite unlike the earlier type 147 Retinette. Rather than the whole lens/shutter assembly moving on a helical as with the Retina I models, the lens is of the front-cell focusing type. 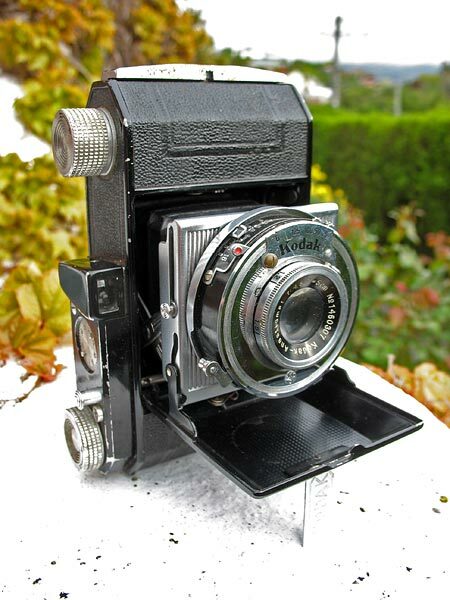 This example is fitted with a Kodak-Anastigmat 5cm f/3.5 lens in a Compur shutter which has speeds from 1 to 1/300 second plus B, but the Retinette II can also be found fitted with a Kodak Anastigmat 5cm f/4.5 lens in a Gauthier shutter with speeds of 1/25 to 1/125 second plus B. The Retinette II is almost identical to the rare Retina I (type 167), differing mainly in the finish on the top cover. The Retina had a chromed top cover instead of the black paint finish of the Retinette, and the Retina also had a chrome plate under the rewind knob where leather was used on the Retinette.